This stunning 8,117-square-foot home was designed from a page of the Laws of Mother Nature: it flows elegantly and naturally, one room leading seamlessly to the next. The dance begins at the doorway, a large pivot that shares the same view of Lookout Mountain that many of this home’s south- and east-facing rooms enjoy. To the left is the guest master wing with its own observation room with front row seats to mountain views, a massive bath and views of the backing forest. 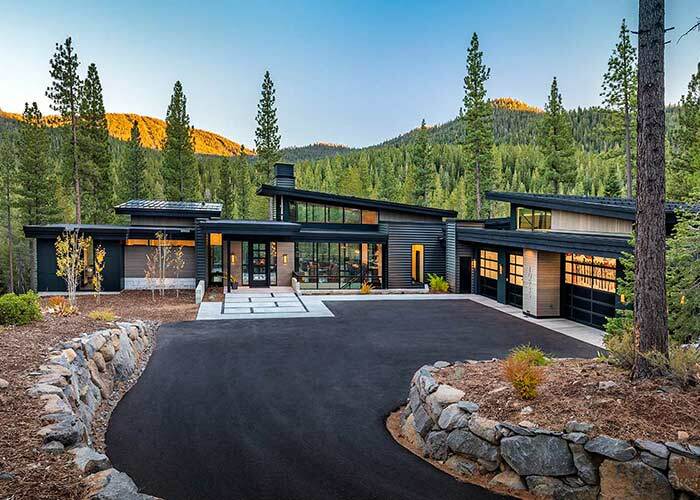 To the right of the entry is this home’s nerve center — a great room with tall, iron-beamed ceilings and soaring glass doors that lead to a patio blessed with views. The stone wall separating the great room from the dining room is broken only by an artistic fireplace that opens to both rooms. Steps away is a kitchen that opens to a grassy backyard with stone patio, outside dining and built-in barbecue. Creativity flows upward here as the custom iron and wood staircases ascend a series of floors, each accessed by an elevator. The first level is where you’ll find the master bedroom, its towering ceiling and windows matched only by the views from its deck with hot tub and mountain vistas. Another flight upward takes you to a guest bedroom, bunkroom and a graceful hallway that slowly tapers toward a small hallway kitchen and — at the end of that hall — a media room with three walls of glass, arching ceiling beams and a deck with forest scenes. One final set of stairs leads you to a bright, spacious office with nearly 360º views. 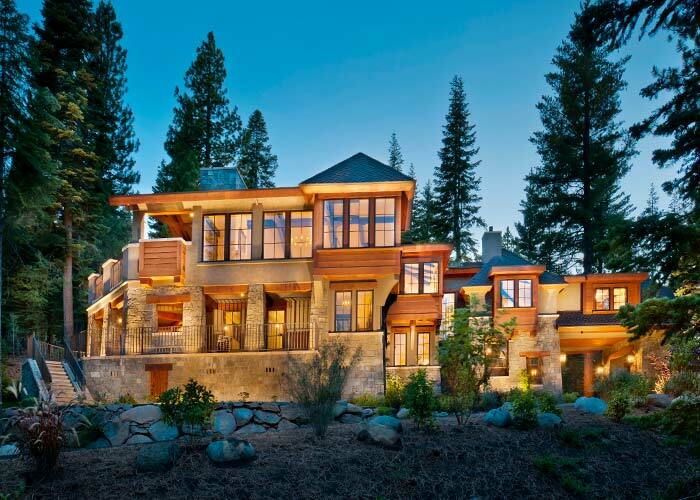 This 5-bed, 5.5 bath home’s exterior is a showcase of architectural prowess. Barreled roofs bend and roll, conspiring for a design that complements its nearly two acres of extensively landscaped, gently sloping forest.